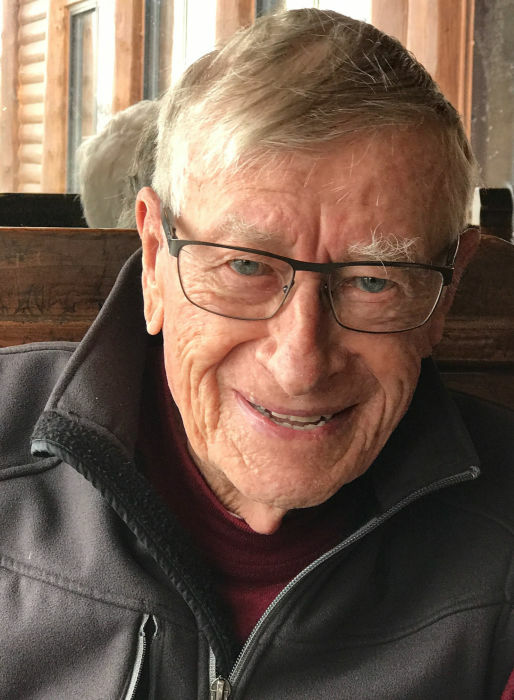 Obituary for Spencer G. Libby | Stone Funeral Home, Inc.
Spencer Garnet Libby, age 97 of Cheboygan/Clarkston, Michigan passed away April 7, 2019 at McLaren Northern Michigan surrounded by his loving family. Spencer was born in Detroit May 22, 1922, the son of Spencer W. Libby and Hazel E. (Penrose) Libby. Spencer grew up in Hazel Park and spent summers at the family cottage on Bronson Lake in Lapeer, Michigan. After high school Spencer went to the Henry Ford Trade School. When the Japanese bombed Pearl Harbor Spencer joined the Navy to perform his patriotic duty. He served his country in WWII and in the Korean War of the early 1950s. 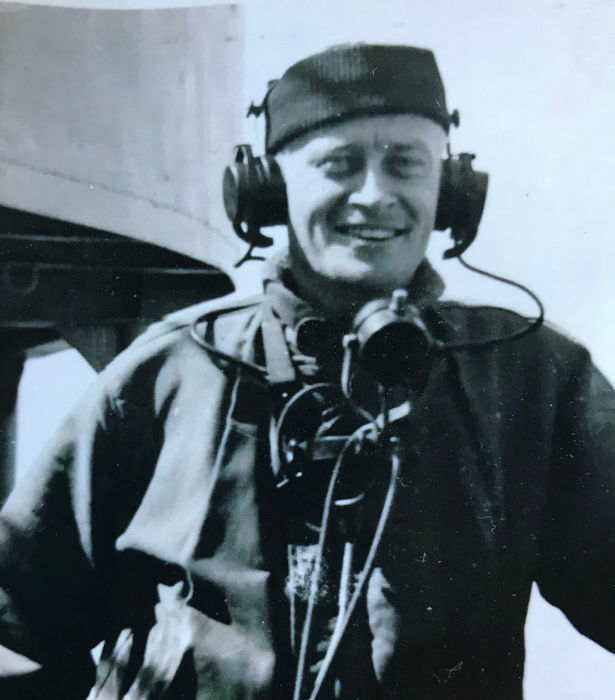 After serving in the Navy Spencer started his own business in the cutting tool industry; Spencer Machine Sales Company. He worked for several years before his son Spencer William joined him, and then took the reins, when he retired in 1984. Retirement began with the writing of his memoir, Nomad of Land and Sea. Spencer was a member of the Episcopal Church and a life-time member of the Michigan Masons. He married the love of his life Margaret Carolyn (Peggy Powell) Libby July 2, 1942. Traveling on land or water was their passion. Together they raised Margaret Carolyn, Spencer William, and Sharon Elizabeth. Spencer had a long list of wonderful traits he passed on; quick wit, humor, and a wonderful smile to tell of a few. He enjoyed golf, had a love for hunting, sailing, boating down the Mississippi, spending time with his family and nothing less than a sincere Love for Life. After the death of Peggy, he later married Diane (Powell) Libby and they enjoyed more than twenty years together. Spencer’s family had the great opportunity to spend more time with him when he moved to Cheboygan. His presence in Cheboygan made an impact on many that got to know and meet him. Preceded in death are his parents, Spencer W and Hazel E Libby, his wife Margaret Carolyn (Peggy) Libby, his brother Lawrence (Larry) Libby, His sister Kathleen (Kay) Haughton, his daughter Sharon E (Libby) Tarris, and his grandson Spencer Sheldon Libby. Surviving Spencer is his wife Diane (Powell) Libby, his daughter Margaret Carolyn (Bill) Campbell, his son Spencer William (Debra) Libby, his grandchildren Derek (Anne) Waisanen, Cory Waisanen, Errin (Jordan) Anderson, Travis (Amber) Libby, Melissa Libby, his great grandchildren Charlotte, Darwin, Montgomery Libby and baby Jack Waisanen. He is also survived by numerous nieces and nephews, grandnieces and grandnephews from Michigan, Texas, Montana, Florida and Washington. Spencer will be sorely missed and memories of him will be truly cherished. In his honor please thank a veteran - buy their breakfast, lunch or dinner. We are so grateful for their service. There will be a Celebration of Spencer’s life this summer both in Cheboygan and Oakland County. Details will be printed in the newspaper. Arrangements are being handled by the Nordman-Christian Funeral Home in Cheboygan.